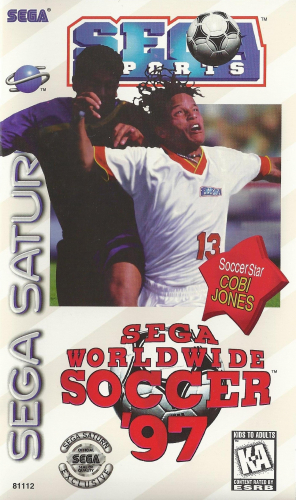 The excitement of the world’s most popular sport comes to the Saturn with SEGA WORLDWIDE SOCCER ’97. You can play as one of 48 international teams. All of the players on the field look realistic thanks to revolutionary animation. With four different camera views and context-sensitive play-by-play, you will swear that you’re watching a live game. After the match, you’ll even have to deal with player injuries and suspensions. You can check your players’ statistics in more than 25 categories. SEGA WORLDWIDE SOCCER ’97 brings the strategy and action of soccer home.